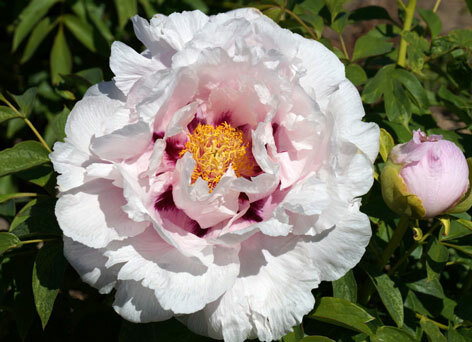 Very refined rockii style flower, opening blush pink and quickly fading to a white with dark purple central flares. Very good compact bush, with finer foliage. 80 cm at 4 years.